When you hire Aaron Layman Properties to find your next home, you’ll receive professional buyer representation from a broker with years of real estate sales experience. Real estate is a data-driven enterprise, and at the same time buying a home can be extremely personal. Aaron Layman Properties strives to provide you a stress-free buying experience while helping you get the best deal possible. Whether you are looking for resale properties or new construction, Aaron takes the time to listen and customize your home search, addressing your concerns every step of the way. We want your next home buying experience to be the best ever! Aaron has over 17 years of experience selling Texas homes, and he knows the DFW real estate market. 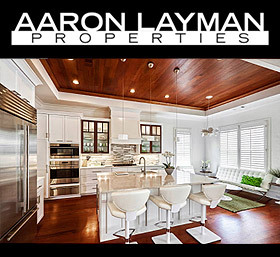 Aaron Layman Properties strives to give you professional, personal service and help you find the right home for your needs, and without the typical sales hype that you may find at other brokerages. Whether you are buying or leasing, Aaron is here to help you find the right home for you and your family. If you are in the market for a new home, be sure to check out the new home buyers guide. If you are relocating to the Denton area, visit the resources page for additional information. Note that if you are searching MLS listings in the NTREIS system (Dallas-Fort Worth metro area) you may see various listings that appear to be available but are actually under contract. The terms “Active Contingent”, “Active Option Contract” and “Active Kick Out”, mean that the property should be available for showing, but for backup offers. Properties showing as simply “Active” in the system should be available for purchase and not already under contract. Have a Question About Home Buying in the Dallas Fort Worth Area?